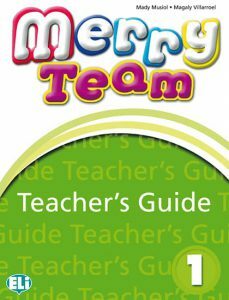 Merry Team is a six-level English course for children at Primary School. Each level provides material for up to 90 lessons of between 45 and 60 minutes. The Teacher’s Resources provide guidelines for extending or reducing the lessons. Target language presented in topic-based context to develop knowledge of a different culture. Levels 1 & 2 focus on daily experiences and core vocabulary building; pre-reading & pre-writing. Levels 3 & 4 introduce topics from the wider world and include interdisciplinary activities with emphasis on listening & reading; class room interaction for speaking; limited writing tasks. Levels 5 & 6 provide a bridge towards secondary education through develop ment of all four language skills; communicative activities. 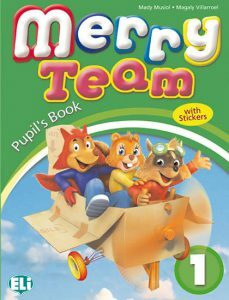 Fully-interactive digital book for use in class with an interactive whiteboard (IWB); fun ‘heads-up’ lessons help keep interest high. 3 sets of flashcards for vocabulary work. 4 posters for use in class. 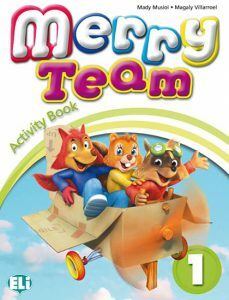 Thorough practice of the target language presented in the Pupil’s Books. Audio CD provides extra listening material for home study. Full notes for each lesson and activity. 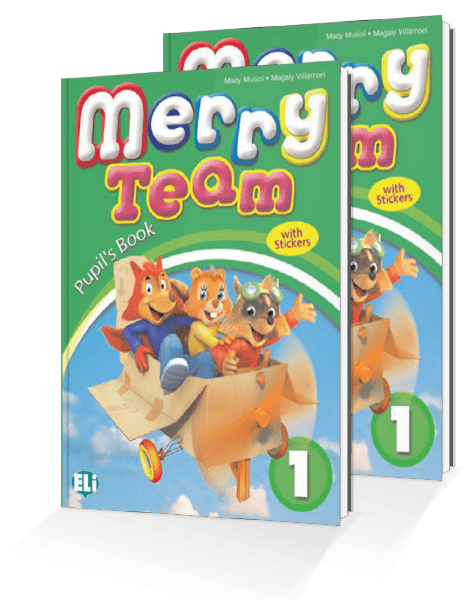 Extra teaching ideas and materials.